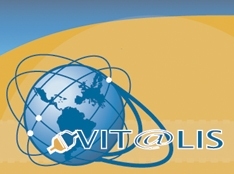 Ibero-American Observatory of Communication (OIC) takes part in the VIT@LIS Network (European-Latin American and Caribbean Network for the Information Society). This is a sustainability initiative from the @LIS program, a community of collaboration, integration and digital inclusion between Europe and Latin America. Its main areas of activity are: the social and digital inclusion, innovation in all its dimensions (technological, social, economic and institutional), from research to implementation in local communities.